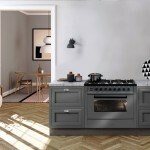 Miele Australia has made Sous Vide cooking easier with the introduction of their built-in vacuum-sealing drawers, complemented by a Miele steam oven. 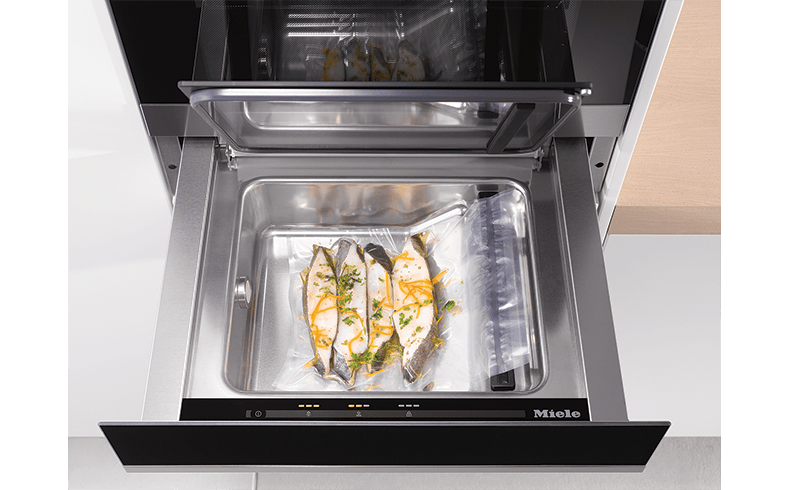 The Miele’s Vacuum-Sealing Drawer, the likes of which were often regarded as the domain of commercial kitchens, vacuum-pack food ready for the sous vide process in a Miele steam oven. 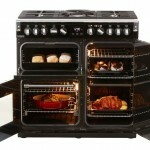 Vacuum-sealed food is also ideal for freezing where it is also protected against freezer burn. 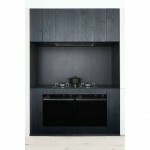 And thanks to the vacuum, the food requires less storage space. 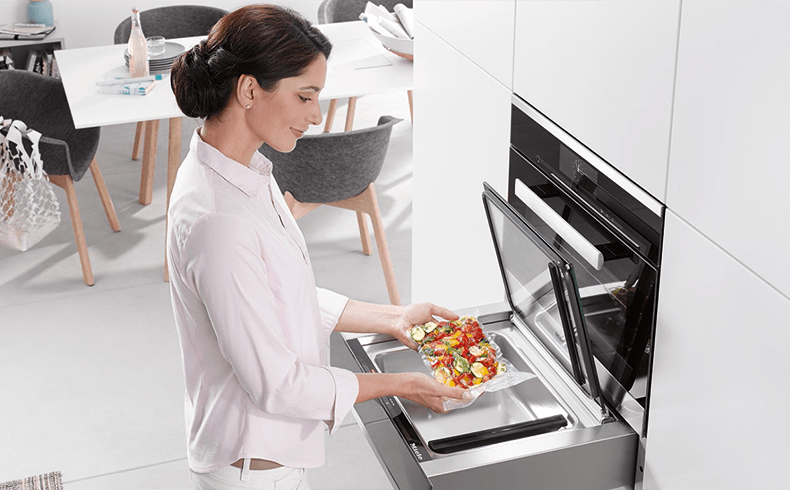 As the latest additions to Miele’s Generation 6000 built-in appliance range, the Miele EVS 6114 and EVS 6214 Vacuum-Sealing Drawers complement 45cm tall Miele steam and steam combination ovens to fit a 60cm recess. 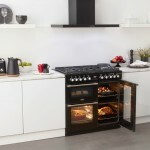 The vacuum chamber and controls are discreetly revealed when the drawer is opened. 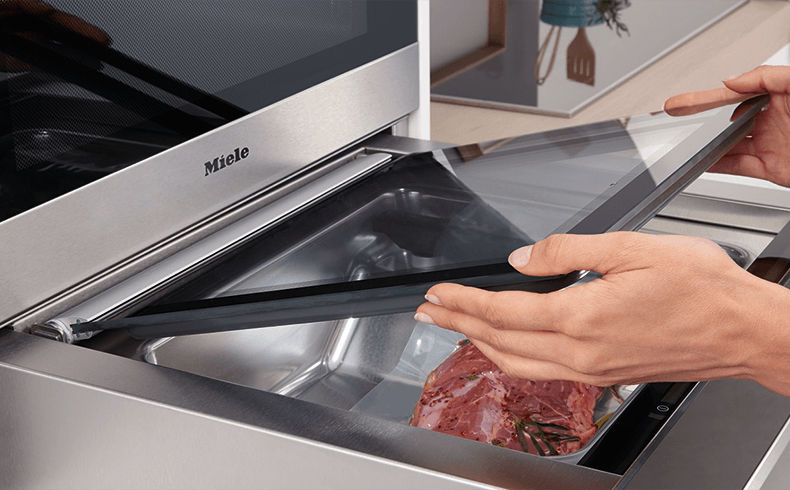 Once food is vacuum-sealed in the Miele drawer, it is ready to transfer to a Miele steam or steam combination oven to be sous vide cooked at low, constant temperatures for an extended time period. 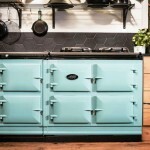 The perfect process for meat and seafood dishes, sous vide cooking allows seasonings and marinades to fully develop their flavour profiles while the food’s texture and moisture are maintained. 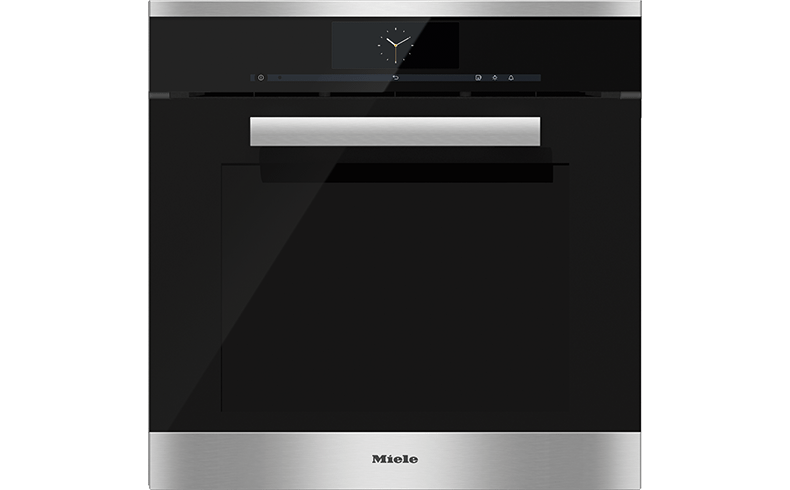 Most Miele steam ovens have their own sous vide operating mode, allowing slow cooking times of up to 10 hours. 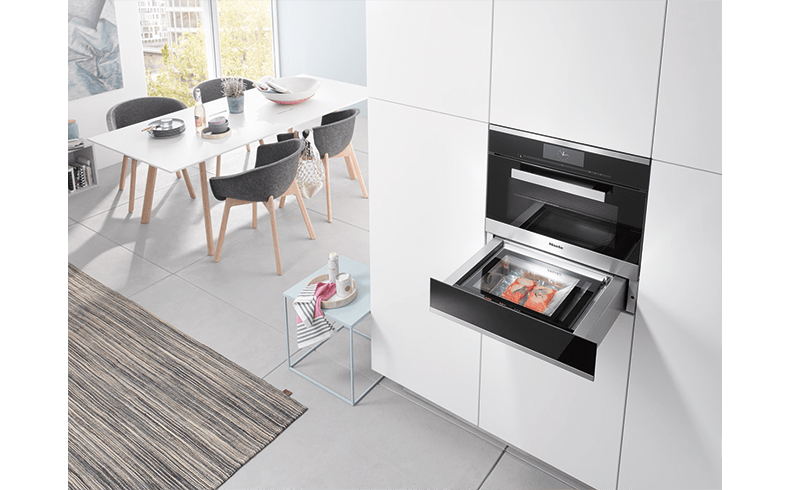 Miele Vacuum-Sealing Drawers come in two different fascia design finishes: the Miele EVS 6114 in CleanSteel; or the Miele EVS 6214 available in CleanSteel, Obsidian Black, Brilliant White and Mink. 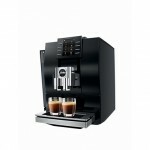 Priced at $3999.